Play Poker online at MansionPoker this weekend and earn double points MCP, Mansion Poker have also introduced the new monthly million tournament and weekly $250k Freezeout tournaments satellites available from as little as $1. Mansion Poker will host the half a million heads-up challenge players can watch as the two players battle it out for 500 heads-up matches. Use Mansion Poker bonus code SMS and get 100% first deposit bonus up to $500 when making a deposit. Earn Double Points at Mansion Poker this weekend playing any poker games. Mansion Poker players will get twice the amount of normal Mansion points when playing on 22 - 23 August 2009. 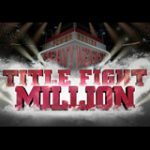 Each month Mansion Poker will host the Monthly Million Guaranteed Prize Tournament where players can win there share of the million dollar prize pool. 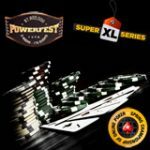 Players can buy-in directly for $500 + $35 or earn their entry by playing satellite tournaments which start from as low as $1. 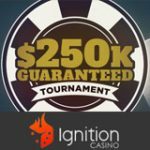 Mansion Poker have introduced their new $250,000 Guaranteed Tournament which takes place weekly each Sunday, players can play for a guaranteed $250k prize pool. 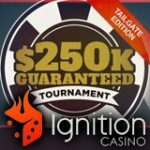 You can buy-in directly for $300 + $20 or play your way to the big game via satellite tournaments. Mansion Poker will host a series of 500 heads-up matches, two Mansion Poker players have challenged each other to play 500 heads up games, catch the match this weekend as German players Gstar89 and Cardsonfire battle it out on the virtual felt. 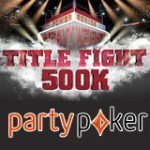 Each of the 500 heads-up matches will have a buy-in of $500 for each player, the winner of each match will also claim an additional $10,000 from the loser. Watch these high stake heads-up matches from your Mansion Poker lobby llok out for the tournaments titled gstar challenge. The two players will begin this weekend and play super turbo NL Texas Hold em games.